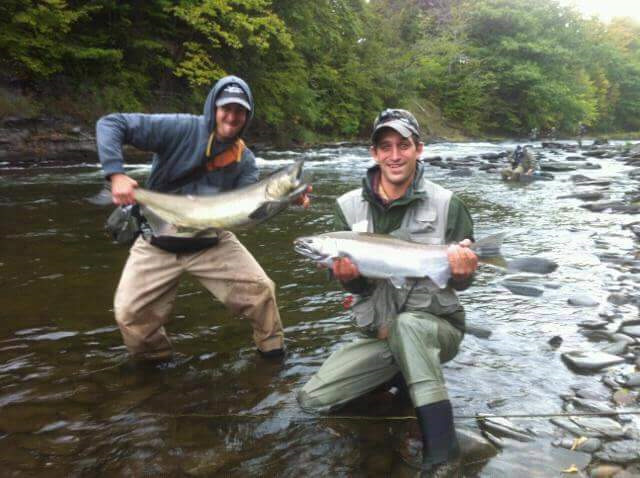 If you’re looking for world class Salmon fishing, then Whisky River Lodge in upstate New York is the perfect retreat. Sitting on over 11.5 acres with 1/4 mile of private Salmon River frontage, its practically impossible not to have the trip of a lifetime. Chinook (King) and Coho (Silver) Salmon begin flooding the Salmon River in early September on their way to spawn in its upper reaches. As the salmon begin to spawn in October, Steelhead and Brown Trout flood the river and offer epic fishing opportunities for anglers. 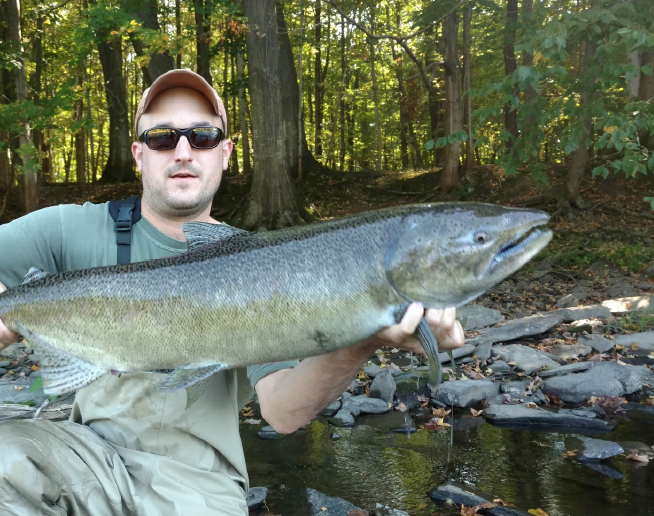 The Steelhead stay in the river throughout the winter until they spawn in late spring and drop back to Lake Ontario before the whole process starts again. 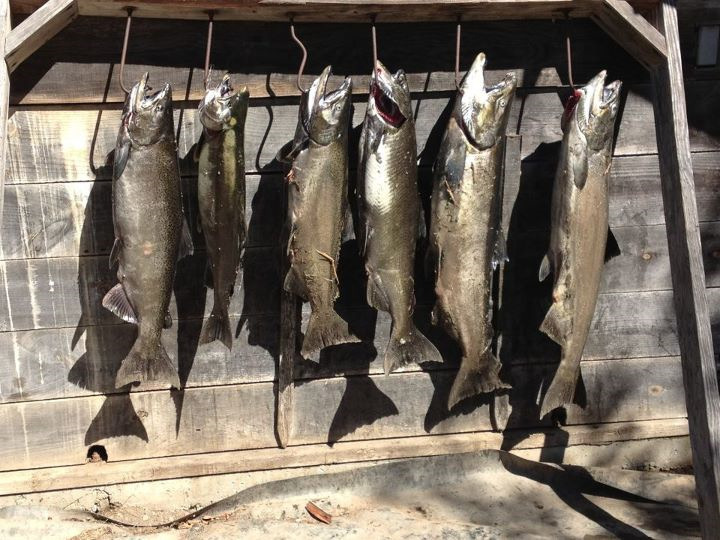 This provides trophy-fishing opportunities throughout the year, whether you’re looking to catch a 30 pound King Salmon or the biggest trout of your life Whisky River Lodge is the perfect place to make it happen. 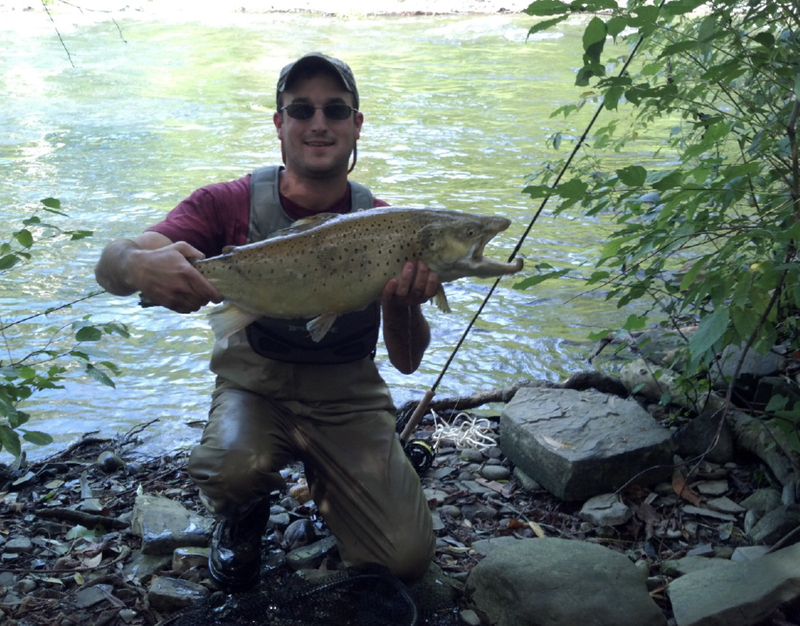 Lodgers get exclusive fishing rights on the river, while limited fishing passes are available for everyone to spend a wonderful day making new friends on our beautiful stretch of the Salmon River. Sunrise to sunset access to 1/4 mile of private water on the Salmon River. Parking, restroom and picnic area included.